Brey House Oceanview in Lincoln City, Oregon is only 100 feet away from stairs leading down to a long Pacific Ocean Beach. The private entrance rooms have ocean views, private baths, quilts, warm blankets, and plush bath towels. Wake up to sounds of the Pacific Ocean and the aroma of your breakfast being prepared. Breakfast is served in the oceanview dining room, with fruit, juices, milk, coffee, tea, a full course breakfast meal and a freshly baked sweet treat. 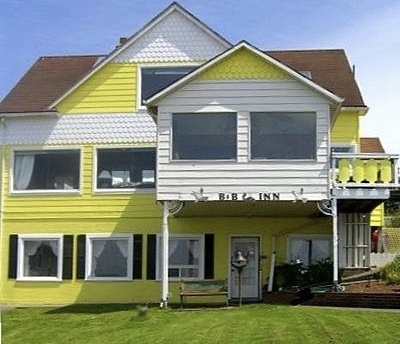 Walking to Lincoln City shops, restaurants and Chinook Winds Casino is easy from Brey House Oceanview.